My last post was to get you thinking about next winter, but now I am ready to focus on summer. With Memorial Day coming this weekend I am making arrangements to spent time with my family and friends. I don't plan on camping this weekend, but I'm sure I will be alot this summer. I was reading this article and realized that we all have different ideas as to what we need to camp. 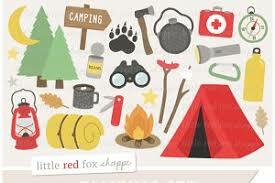 Look at this article and you can see others point of view as to what to take camping. You of course always need bug spray, but I never thought about a head lamp and instant coffee won't work for me! Please let me know what you think of this article.